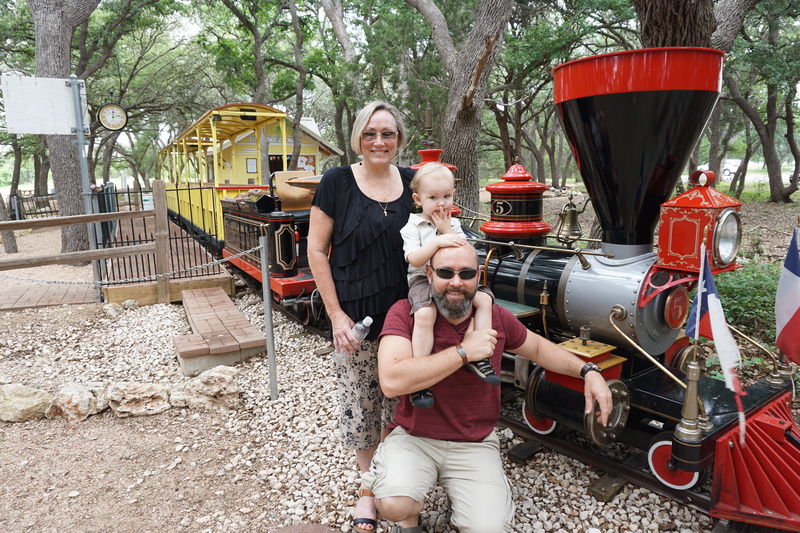 Like most little boys, our son loves trains. We have books about trains, toy trains, and his grandma even got him his own rideable motorized train. The ultimate experience though is riding a “real” train where there are other people involved and a station of some sort. 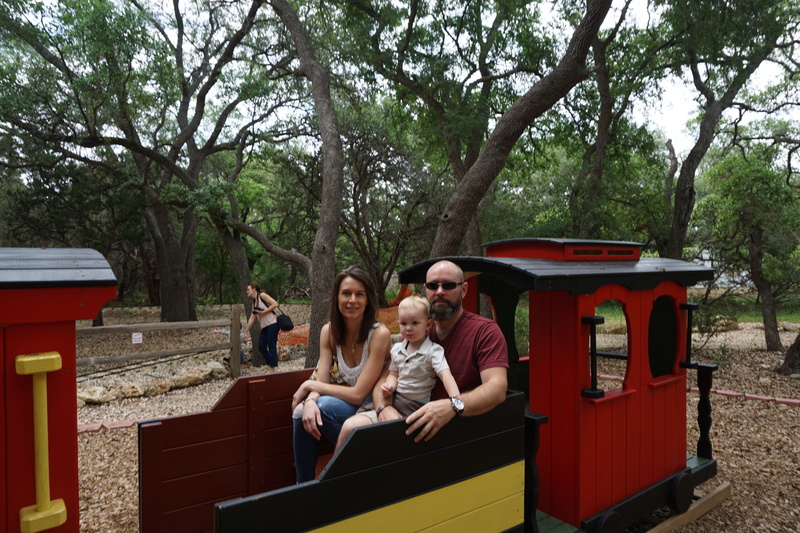 So far the “real” trains we have ridden include the MetroRail train, the train at Lakeline Mall, the Zilker Park train, the Austin Zoo train, and now we are happy to add to the list the Cedar Rock train. 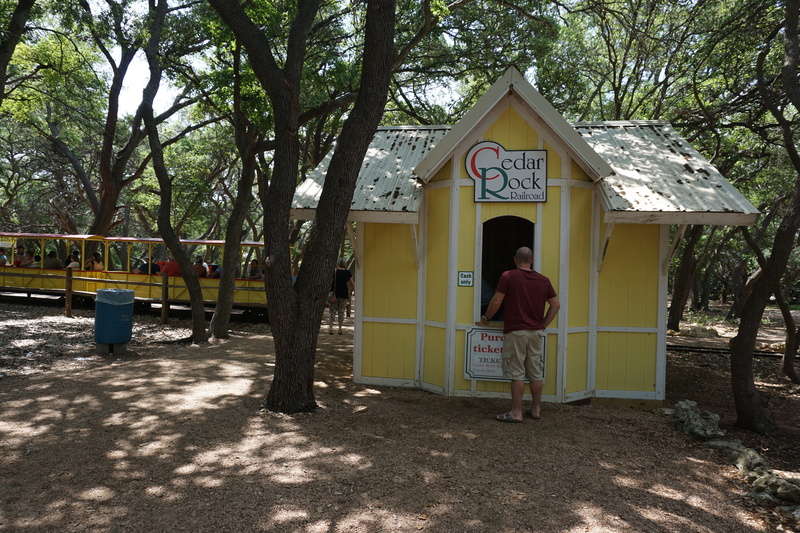 The train operator wore overalls and a conductor’s hat and called “all aboard” before punching our tickets. 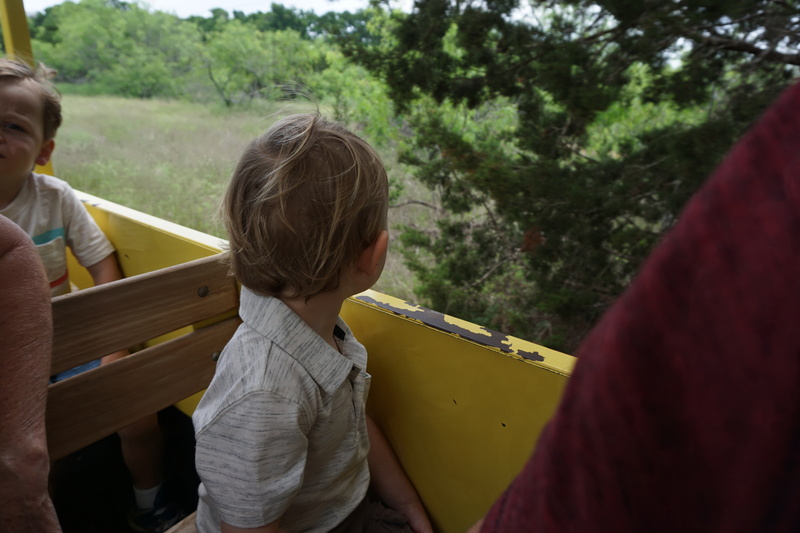 Then the train chugged us out of the “town”, through a forest, across open plains, past playing fields and a pond, and into a tunnel full of spiders (fake ones!). 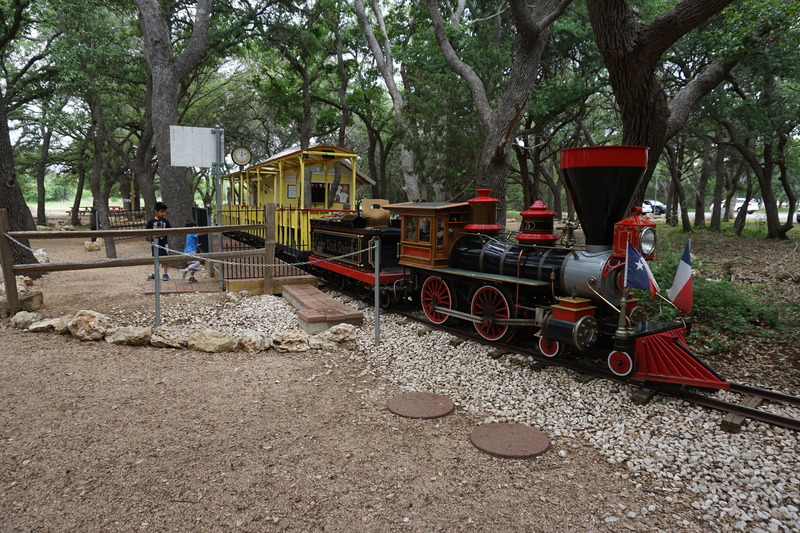 The round trip was about 15 minutes and was followed by play time in the town and with a stationery train, as well as optional individual train rides (which received mixed review from the other kids in the group who got tired of peddling with their hands). 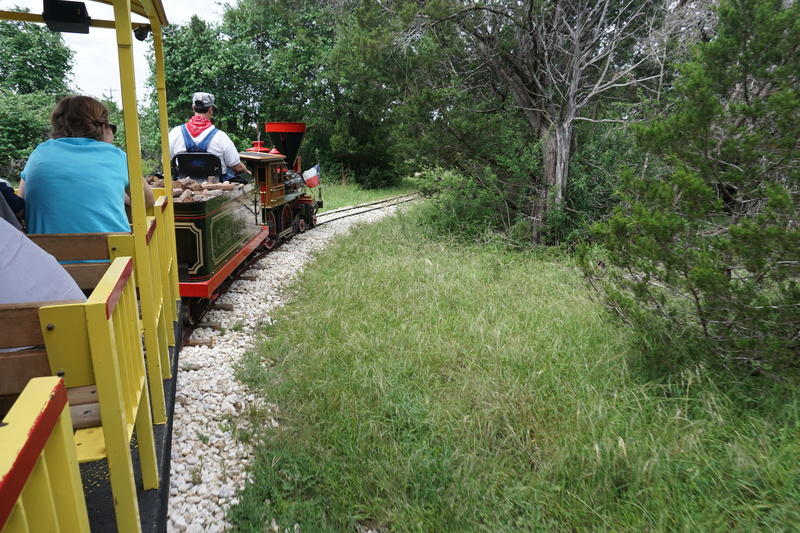 Perhaps the biggest discovery of the afternoon, however, was driving through nearly 800 acres of the Southwest Williamson County Regional Park to get to the Cedar Rock Railroad. 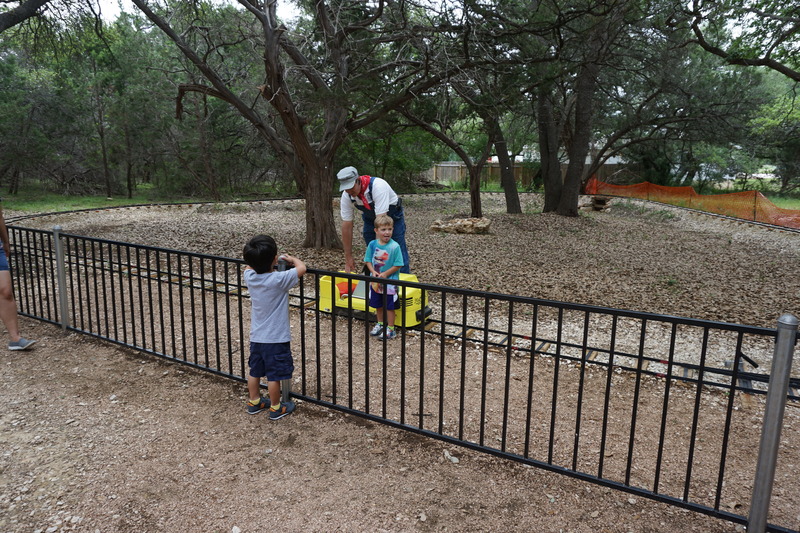 We saw playing fields, picnic pavilions, hike and bike trails, a splash pad, and I’m sure there’s even more we didn’t see. 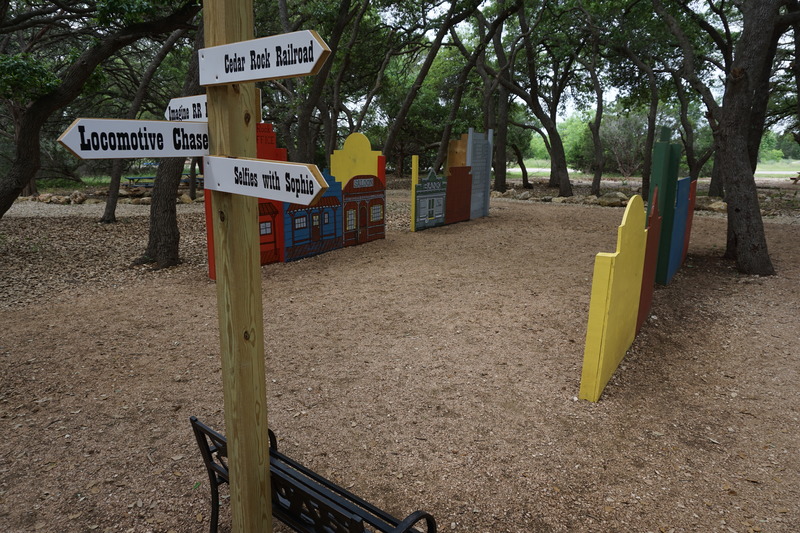 Definitely a place we will be exploring further! 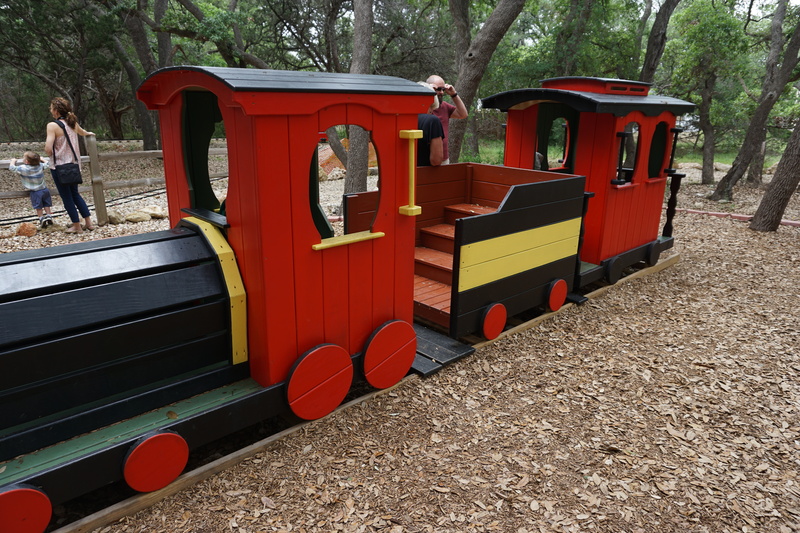 The Good: If your kid likes trains, and Leander is close by, this is a no-brainer. Tickets were only $2.50 per person. The Not-So-Good: I’m drawing a blank.